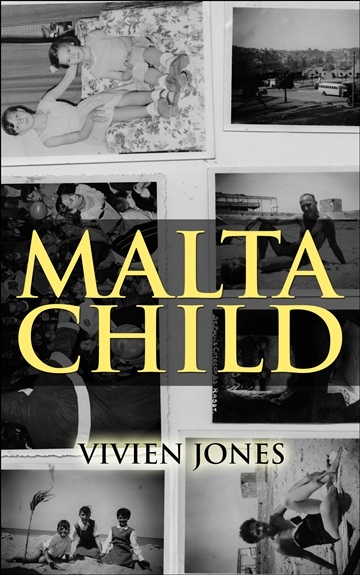 Within Malta Child Vivien Jones takes aspects of her childhood growing up as the daughter of a British Naval officer in 1950s Malta to paint an evocative and rich short memoir. Foreign smells, taste and culture are brought into focus through family life. I loved this collection. It contains six self-contained memoirs of the author's time on Malta in the 1950s when her father was serving as an officer in the naval base there. Beautifully written, the pieces are very evocative and vivid and capture the intense joys and anxieties of childhood. There is also a subtle satirical subtext on British attitudes to the local populace, stand-offish and suspicious and this at times becomes rather poignant as seen through the eyes of the young Vivien. I heartily recommend this book. Loved it so much that my wife & I even went to 197 Triq Manwel Dimech in Sliema and took a photo on our visit to Malta a few weeks ago.